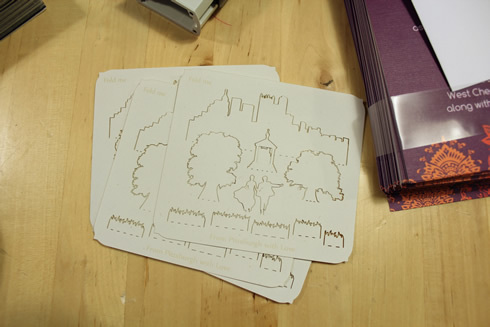 Inline with our wedding's DIY spirit, we made custom inserts that mailed out with our invitations. 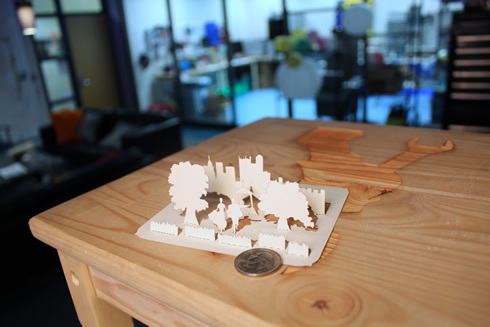 These were laser cut from a natural fiber, heavy paper stock. 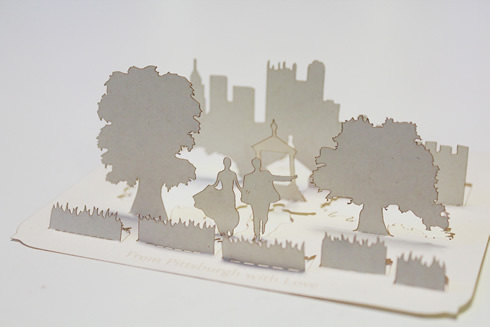 Following the pre-made paper scores, it can be folded up into little wedding-themed diorama. 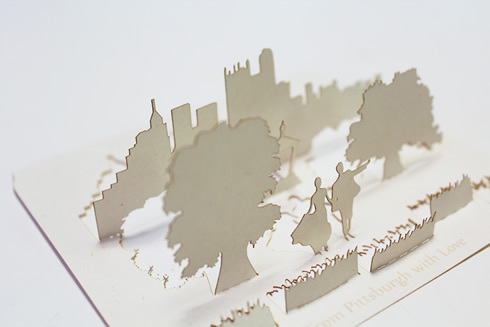 We iterated through a bunch of designs, ultimately settling on a skipping couple, gazebo, trees and a Pittsburgh skyline.